Editor's Note: Another new writer? It is so! If you've spent any time around the webOS community at large you've probably run into Arthur Thornton. He's been developing and blogging about webOS for years and had now joined us at webOS Nation. Welcome to the team, Arthur! 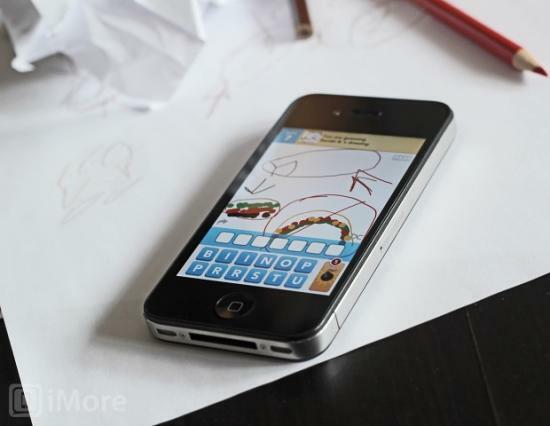 Chances are you've heard about the latest hit mobile game Draw Something. You know, the one where you draw out a word on your phone or tablet and your partner tries to guess the word using a slate of letters? No, not Pictionary, though pretty similar. You've probably noticed that Draw Something hasn't seen much activity on webOS Nation, and that's thanks to its current status as an app only on Android and iOS, selling for $0.99-a-pop or as an ad-supported free version, with more than 15 million daily active users. As any enterprising business, OMGPOP, the makers of Draw Something (recently purchased by Zynga), is willing to entertain expanding into new markets, if the demand is there. Leave it to the always engaging webOS Nation community to pick up that ball and run with it. Yesterday, member zacky59 took to Draw Something's Get Statsifaction help and feedback page to request they consider porting the game to the TouchPad. Normally such responses fall on deaf ears, but it seems that OMGPOP is willing to entertain the idea. The response was a familiar refrain to the webOS Nation: supply and demand. However, if the community can demonstrate enough demand, it's something the developers could consider. Sure, you can access the Android version of Draw Something by installing CyanogenMod 9 on your TouchPad, but who wants to be forced to shut down webOS and boot into Android just to play a few quick games of Draw Something? If you want Draw Something on webOS, head to the Get Satsifaction source link below and provide your "+1" to the cause. We don't know just how much it would take for OMGPOP to consider porting Draw Something to webOS, though we do know it would be the first Zynga game to make the jump. This isn't exactly something the webOS Nation hasn't experienced before - this community has rallied before to convince Rovio to bring Angry Birds to webOS and successfully demonstrated enough demand to satisfy Astraware. Draw Something coud end up not being much of a different story, from what we can tell the app doesn't use any OS-specific UI elements on iOS or Android, so the port shouldn't hit any major snags should they decide to follow Rovio's and Astraware's steps and support this small but eternally vocal community.